Home Insurance Lacey Township NJ 08734, Homeowners Insurance 08734, Lacey Township 08734 Affluent Home Insurance, Lacey Township New Home Insurance, Lacey Township NJ Flood Insurance, Lacey Nj 08734 Business Insurance, Lacey NJ Auto Insurance, Lacey NJ Insurance Agents, Lacey Township NJ Insurance Agency. Are you buying a new Home in Lacey Township? Need a New Home Owners Insurance Policy? and unhappy with your Agent, Insurance Company or Agency ? Now is a Great Time to Change ! 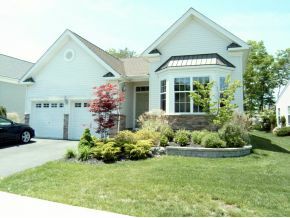 accepting homes and properties in Ocean County close to the water. I & E Insurance Agency can help you get Lacey Township Home Insurance with the right coverage at the best price. Many Lacey Township NJ homeowners don't understand the importance of homeowners insurance, or the benefits that come with it. Then- there are many homeowners who have Insurance in Lacey NJ who have it through an agency they never hear from and who hasn’t explained all the Nuances of their policy. Do you know what your hurricane deductible is? Do you know what it means? Essentially the hurricane deductible is the amount of money You have to pay first on a claim before the Insurance company pays anything when a Named Hurricane causes damage or destruction. ---Note----Water damage from Flood is not covered by Homeowners Insurance. Some companies insure homes with a 5 % Hurricane deductible! Home insurred for $500,000 ? - that means a 5% or a $25,000 deductible, (NO Way !) Yes this is typical-- But when you have your Lacey Township NJ Homeowners insurance with I & E Insurance Agency, we tell you the facts---you’ll have the confidence and peace of mind knowing that when it comes to your options for homeowners Insurance in Lacey --I & E Insurance has done its best to find Choice Alternatives. Don't wait until it's too late, contact us today! Benefits to Homeowners Insurance in and near Lacey Township NJ 08734. If you're wondering about the benefits of having Lacey Township NJ homeowners insurance, there are many. First--peace of mind. Insurance is supposed to help you start over, rebuild, not be a maintanance policy. And what good is home insurance with large deductibles and exclusions. That’s why you need a Trusted Choice Agent whom you can meet face to face and get the answers you need. Another Benefit to your homeowners Insurance is liability coverage. Protection from Liability Issues. Importance of Homeowners Insurance near Lacey Township NJ. The thing about getting Lacey Township Homeowners Insurance -- it's the best thing you could buy for your home, but hope you never have to use. It's a lottery you don't want to win, but if you do, Your Lacey Township Homeowners Insurance better do what you expect. So thats why research and an experienced Trusted Choice Agent is so important. There are many types and levels of Lacey Township NJ homeowners insurance and most cover damage to your home due to: fire, vandalism, hurricanes, lightning, or other events. Sometimes they also cover loss or damage to personal property due to theft or other covered situations. Whatever kind of coverage you think that you may need, it's best to contact the Principals at I & E Insurance Agency instead of some customer service rep at a 1-800 company or some agency 100 miles away. Our independence started in 1998 and our two principals with over 70+ years combined experience provide exceptional professional homeowners insurance to Lacey NJ Homeowners and beyond. We strive to help you obtain the best coverage for the best available cost. Our priority is to keep you informed about your options when it comes to homeowners insurance in Lacey NJ. I & E Insurance Agency goal is to provide leading edge insurance and retirement planning products, just another reason you can be confident in choosing us to be your insurance agency. Most homeowners never think about disasters, even in Lacey Township, till its too late. Even after Hurricane Sandy most Homeowners think--- it will never happen to them again! The problem with disasters --- they happen very quickly -without warning and they're never cheap. The good news...being prepared can save you time aggravation and money! Allow the professionals at I & E Insurance Agency the opportunity to help you plan.